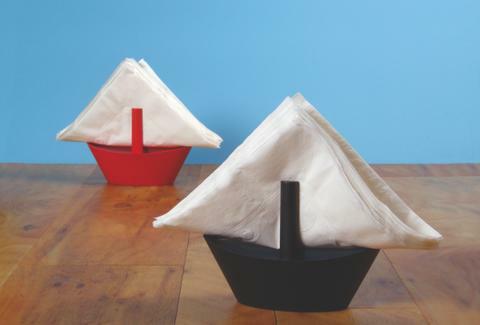 The wind is in your favor with this sailboat napkin holder from GAMAGO. This nautical table accessory looks great and is sturdy enough that it won't capsize into the gravy boat. When folded diagonally, your every day square napkin becomes a billowing sail to complete the design. Set your table with one of these and it'll be easy sailing from then on.